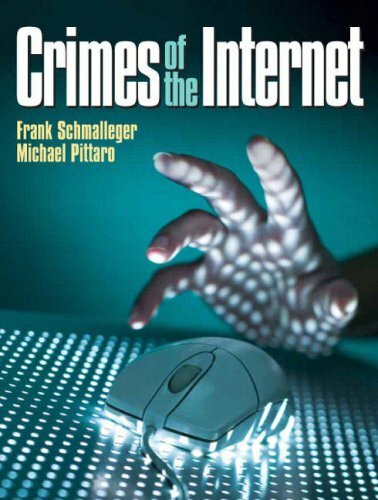 This book contains 31 original scholarly articles on all aspects of cybercrime--from emerging global crimes of the Internet, to criminological perspectives on cybercrime to investigating and prosecuting cybercrimes. Offering a collection of previously unpublished works, this book examines emerging global crimes, challenges faced by law enforcement, and the underlying reasons for the rise in such activities. Through a variety of essays, it explores the role of the cybercriminal, the victim, and the cybercriminal's impact on the criminal justice system. A reference for practicing criminal justice professionals as well as private investigators. Michael Pittaro is the Assistant Director of Programs for Justice Works Youth Care and also serves as an adjunct criminal justice professor at Cedar Crest College (both in Allentown, PA). Michael holds a masters degree in public administration and a bachelor's degree in criminal justice from Kutztown University, Pennsylvania and is currently pursuing a PhD in Criminal Justice from Capella University. He is the author and editor of more than a dozen scholarly publications and currently serves on the International Editorial Advisory Board for the International Journal of Criminal Justice Sciences.